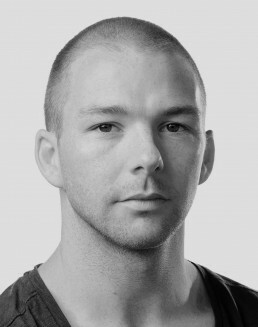 Australian born choreographer Craig Davidson, received his dance education with the New Zealand School of Dance. After graduating in 2002 he was offered a contract to join the Finnish National Ballet by Dinna Bjorn. Soon after he joined the Royal Ballet of Flanders (2003-2013) where under the directorship of Kathryn Bennetts he was promoted to a Soloist, awarded a Critics Choice Award by Dance Europe for ‘Most Outstanding Performance by A Male Dancer’ for his performance in Impressing the Czar by William Forsythe and choreographed his first ballet in 2006 for the annual choreographic workshop. In 2013 he joined Tanz Luzerner Theater in Switzerland and the season after moved to Germany to become a Soloist with the Semperoper Ballett under the direction of Aaron S. Watkin.